Is an In-Law Unit Right for Your Property? They can alleviate suburban sprawl, add rental income for homeowners, create affordable housing, and much more. Most urban and suburban lots are governed by zoning ordinances, laws that (among other things) restrict the number of dwellings allowed on a given lot. A dwelling is technically defined as a place for habitation that contains cooking, sleeping, and bathing facilities. By limiting many lots to a single dwelling unit, municipalities have imposed density restrictions and unwittingly promoted suburban sprawl. But cities and towns have begun to recognize the need for a more flexible zoning arrangement to meet the needs of their residents and increased housing demands. By relaxing density restrictions and rethinking how we use existing land, we can increase housing options in developed areas. The accessory dwelling unit (ADU) is an additional, self-contained home located either within or adjacent to an existing house. Because it’s on the same lot, it can’t be sold separately (unlike a condominium), and it must be owner-occupied. Essentially, it creates multiple living units on parcels that previously supported only one. 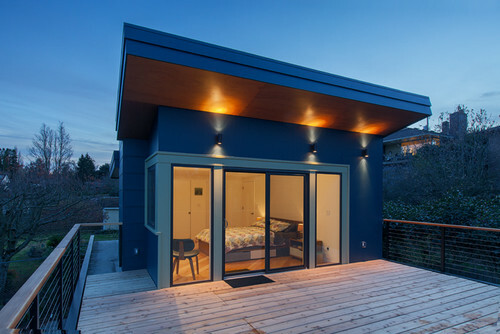 When separated from the existing home, the ADU is often referred to as an in-law cottage, a backyard cottage, or a detached accessory dwelling unit (DADU). The number of terms we’ve invented to describe them suggests their inherent multiplicity of function, and it’s this flexibility that’s so attractive. One year it’s a rent-generating apartment for a relative; the next year it’s a home office. 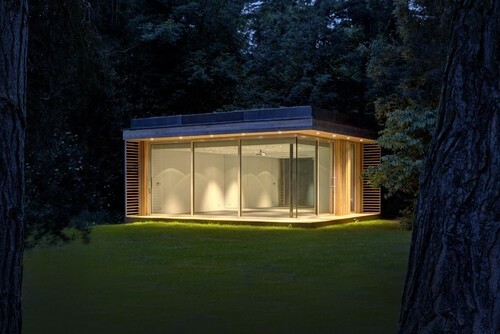 A detached unit can be a particularly adaptable structure. • Rental income for the owner-landlord can offset mortgage costs and property taxes. • Affordable housing sized to a renter’s needs uses existing housing stock more efficiently. • Provides a starter property for a child or a place for an elderly family member who requires some assistance. 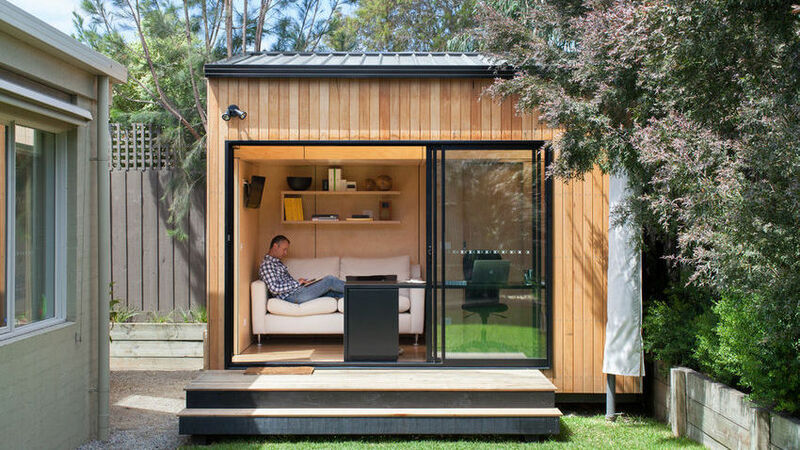 • Adapts to changing lifestyles and needs (home office, studio, or flex space). • Urban infill helps to reduce sprawl. • Better utilizes fixed municipal resources. • Expands the range of choices for housing in a developed area. 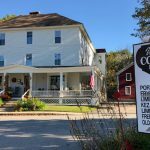 Not every locale has embraced this modified living arrangement, however, and the zoning changes required usually mean hard-fought battles with prolonged public debate. Resistance to adoption of the ADU can be found in many forms. Many believe that increased density will change the character of their neighborhoods and place an undue burden on local resources, overtaxing services, schools, and water, sewer and other support systems. There are real parking and traffic concerns that come along with increased housing density, too. But model ordinances seek to mitigate these problems by requiring parking, limiting heights and floor areas, enforcing stylistic continuity rules, and controlling the number of people permitted to live in each ADU. Because the ADU increases the value of the property, local tax rolls benefit from increased revenues and a more efficient use of the existing infrastructure. It’s costly to extend public utilities and roads, so it makes good sense to use what’s already in place. And having more members in a community means more local shopping. Accepting higher-density standards and adopting new model ordinances also acknowledges the fact that many cities already harbor large numbers of non-permitted (read: illegal) ADUs, which present health and safety issues for its residents. For these reasons, the ADU has been gaining favor in towns and cities with rapidly growing housing demands. • There are minimum and maximum size limitations that need to be verified with local authorities. 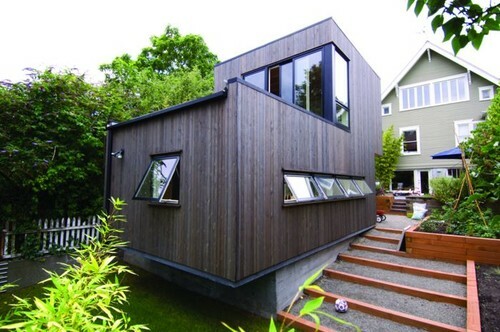 The 2015 International Residential Code (IRC) allows an accessory dwelling to be as small as 88 square feet. Maximums of 800 to 1,000 square feet are common and depend on the existing lot size and type (ADU or DADU). • Dedicated onsite parking is usually required. • Owner occupation is required for one of the structures. This usually also demands a deed amendment-covenant that makes it legally binding. • A separate (lockable) entrance must be present. 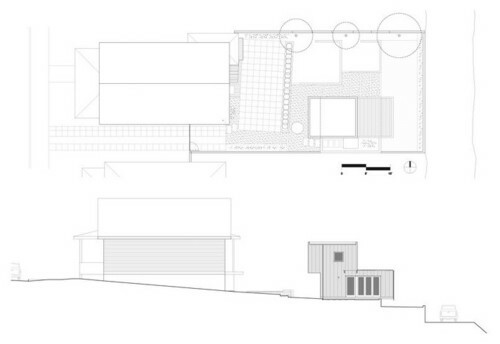 • All setback requirements for the lot and the structure’s use must be met. • The ADU must meet all current codes, which can be limiting if converting an existing older structure. • Avoid all existing buried utilities (power, sewer). You won’t be able to build over any existing utilities, which may limit development possibilities. These should be surveyed and identified prior to undertaking the project. An architect or a designer will be best positioned to help you understand your local development constraints and help you navigate the permit process. If you’re not working with one, you’ll want to read through the zoning ordinance and your property deed (for easements), and consult with your local code officials to determine the applicable rules. You’ll need a design to apply for the permit, for financing (as necessary), and to solicit accurate construction pricing, so it makes sense to hire someone early to create one that meets your needs and satisfies the rules. You’ll want to know the permit process and fees involved, as well as any incentives or special requirements. For example, you may not be able to convert a garage into an ADU if it doesn’t meet current setbacks. Or your current garage may meet the setback requirements for garages, but the dwelling unit you want to convert it to may be subject to more stringent setback requirements. Determining the specifics of what square footage counts toward your maximum allowed is especially important. Some jurisdictions count decks as part of the total, while others don’t. You may also be required to match the style of any new ADU to that of the existing home. Having an idea of the project goals when you visit the code official or architect will help you ask the right questions. It’s difficult to say exactly what an ADU will cost, because the cost varies with size, configuration, and local building costs. 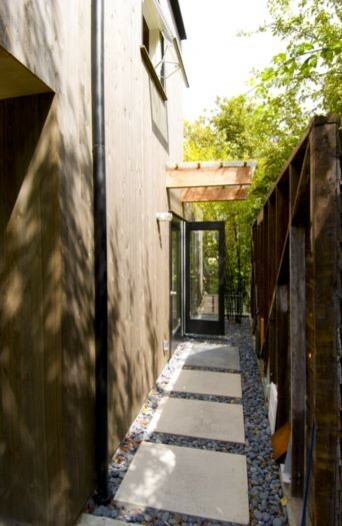 As a general rule, the square footage cost for an ADU will be higher than that of a typical home because there’s no cost efficiency with a small footprint. You’re building less square footage, but the density of that square footage is greater. You’ll need to fit all of the same living accommodations (kitchens and baths are expensive) into less square footage, and so it follows that it’s more costly per square foot. Access for construction equipment may make mobilization costs higher too. A freestanding unit is fundamentally more expensive than a unit within a home. 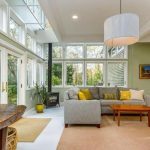 However, ADUs are less costly to operate and maintain per square foot, and rental income can help offset these increased costs. While securing a permit for these structures is necessary, it’s not always easy. Many locations have procedures and requirements that make compliance and permitting expensive ($3,000 to $10,000 and up) and time-consuming. Plan well in advance of when you hope to begin the project. The permitting process can take as little as a week or two or be drawn out over months. Resourceful companies like Lilypad Homes, which launched the nonprofit Lilypad FHI (Flexible Home Initiative), have begun to propose new model ordinances to address these permitting hassles. 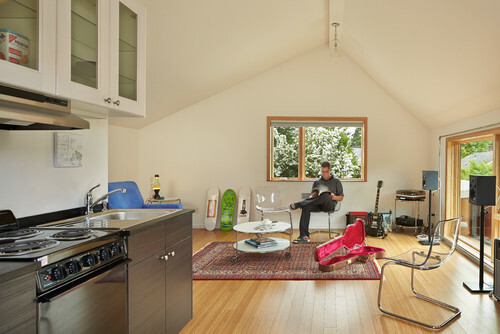 The Junior Accessory Dwelling Unit (JADU) exempts many of the costlier build requirements and simplifies the permitting process. The JADU essentially allows for the conversion of a bedroom into a self-contained living unit with relatively few (inexpensive) additional amenities. As cities adopt smart-growth planning policies that focus less on the automobile and more on creating inclusive communities with a variety of housing options, some jurisdictions have begun to offer incentives for the development of ADUs: technical assistance for prospective landlords, pre-approved plans, low-interest loans, and even waived permit fees. Continued development pressure to provide more housing means the ADU is ripe for architectural experimentation and sure to see wider adoption. 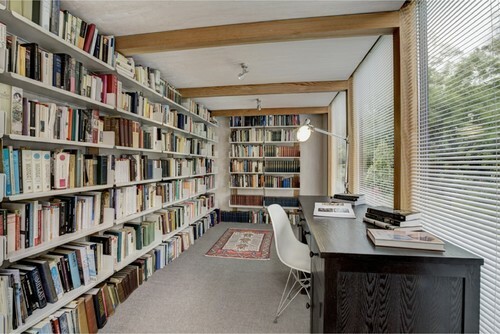 For more information, consult the in-depth, immensely helpful Accessory Dwellings website, based in Portland, Oregon. Be sure to check out the ADU break-even calculator to help with budgeting. There’s also a helpful PDF compiled by the U.S. Department of Housing and Urban Development available for download.